Your space is a mirror of you -- how to get it right without breaking the bank. We get so used to working in our space that we don't really see it anymore. It's just that place we go for 3 or 4 or 7 appointments each day, and we lose sight of how important it can be and how much it means to our clients. It’s reality check time: Look around you -- your surroundings are a mirror of you. What do yours say about you and about being a PRO? It's time to step into your power as the professional therapist you know you can be! 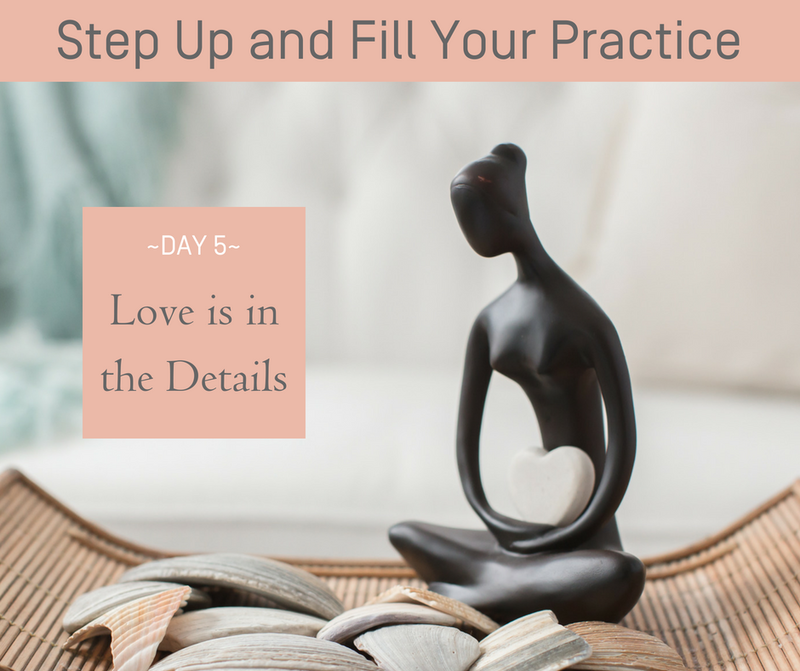 If you’re just not sure where to start, or you feel overwhelmed… you’re going to love today’s challenge. In this video, I’m sharing my method for making an amazing first impression on your clients that will have them raving about you and your work to their friends and family. The one thing clients say that their favorite therapists do… and how you can make the change TODAY!